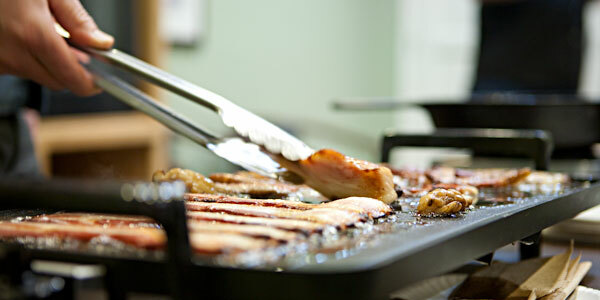 There is nothing quite like the feeling of walking into a hotel conference room and being overwhelmed by the smell of frying bacon. Awesome. Marshall and Greg did a great job walking us through the basics of curing, drying, smoking, wet cures and pink salts. The pork was from Richardson Farms. (Did I hear they are milling their own flour now?) If you haven’t been to a Slow Food event in a while (or at all), you should check one out. 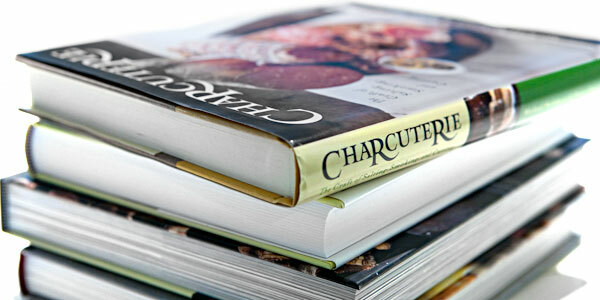 Michael Ruhlman & Brian Polcyn’s Charcuterie book seems to be the go-to text on the subject. This is a deep book that I haven’t begun to get deep into yet. Once you start hanging meat around your house, you just can’t go back (it also forces an awkward conversation with the kids, or cats, for that matter). Combine all ingredients, mixing well. Store in a plastic container, keeps indefinitely. Use 1/4 cup for every 3 to 5 pounds of pork belly. Dang it! I really wish we could have gone to this… We cured a couple batches of pancetta recently, but I would have liked to learn a lot more. Any idea if they’ll be doing something like this again?